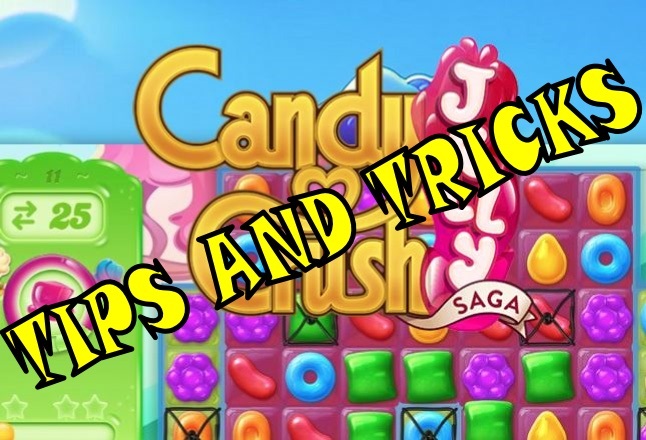 Here you will find the most important Candy Crush Jelly tips for this new match-three game from King.com. Candy Crush Jelly Saga has 4 main types of levels so far, normal Jelly, Jelly Queen Boss type, find the Pufflers and Cupcake Carl pufflers Boss level. In order to succeed you need to change your playing strategy according to each type of level, our Candy Crush Jelly tips will for sure make your gameplay easier, so lets see the different modes. You need to fill the entire board with jelly, by matching 3 or more candies, BUT at least one of them must be on a jelly filled square already! This is the most common mode and makes up for the most part of the levels. In this mode you will fight the jelly queen and spread more jelly then her. There are to very important details here, first one is: if you create a special candy of 4 or more like 4 in a row, fish, bombs or 5 in row, you will stun the queen, and you can play again. 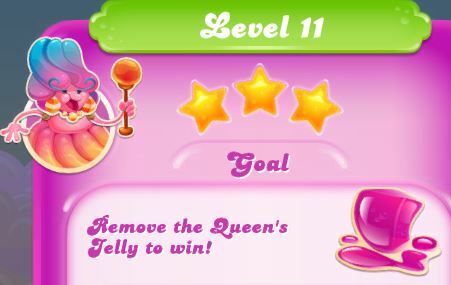 Also while your goal is to make more purple jelly squares then queens green ones, there is a VERY IMPORTANT detail :), you just need need to clear queens green jelly squares to win!, so if you quickly find a way to remove her starting green jelly squares you win! 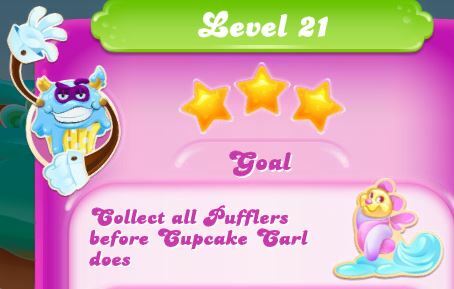 In this levels you will have to break layers of frosting by matching 3 or more candies in order to find the hidden pufflers, but every time you reveal a partial part of a puffler, he will run away and hide below more frosting, the secret here is to pay attention where he moves to (you will see the frosting animation when the puffler passes under it), and try to either fully reveal him with one move or try to trap him by breaking the frosting around him so he cant run away. Another good tip for this levels is to save special striped candies, and try to use them wisely, by clearing an entire row or column where you know there is a puffler. The strategy in these levels is pretty much the same as in the previous mentioned pufflers levels, but keep in mind you can again stun the boss by creating special candy, which will give you extra moves, like in queen mode. Just don’t let the pufflers exposed so Carl takes them instead of you! Hope you find this tips useful, you can also check some game play videos on my youtube channel ty! Related Tags: Candy Crush Jelly Saga, Match-3, Tips.